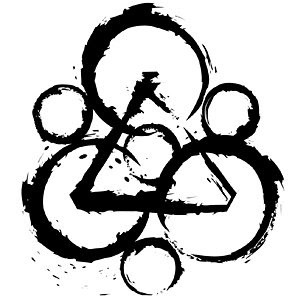 This past weekend Coheed And Cambria finished the first part of an epic undertaking. For those unfamiliar with the bands history, there is a storyline running through all four of their albums. Singer/guitarist Claudio Sanchez is the author of a series of Sci-Fi themed graphic novels, and Coheed and Cambria's albums follow the same storyline as the books. Their latest release, No World For Tomorrow, is the final chapter in the saga. With the storyline being complete the band decided that it would serve the loyal fans well to be able to see the entire catalog preformed live. Yes, every song, from every album, in order!! Recently many bands have been preforming entire albums on tour but I have yet to hear of anyone else doing four complete records. This was obviously a massive undertaking. When it was all put together it turned out to be FIFTY songs, played over four nights, for a total of six hours. This is a feat that demands respect. All four shows sold out NYC's Terminal 5 very quickly and die hard fans were able to get four day passes before the other tickets went on sale. The band is now doing what has become known as 'The Neverender' in Chicago, then they are off to repeat the performances in Los Angles and London. The amount of rehearsal, and the level of dedication required for this undertaking is remarkable and their fans honor and respect the effort. C'mon, Sparks did all 21 of their albums in May/June of this year in London. I only made it to seven, and watched two online. That is amazing...I had not heard of that. Wow.